This is one of my “wish list/to do” blankets. 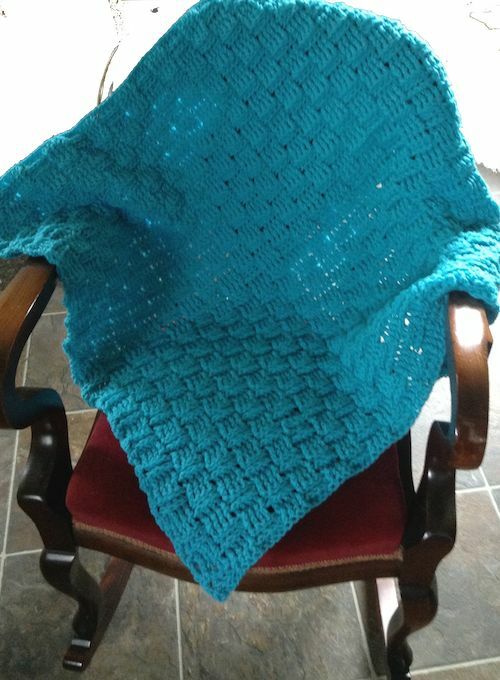 This blanket is for my grandson. It will be a lovely little blanket now and a lap blanket when he gets older. I do hope he likes the colour. it is basically 4 double crochets into the front of the post of last row; 4 double crochets into the back of the post of last row…. alternate across. Do 2-3 rows the same to create the square and then alternate, creating blocks. this is my daughter’s favourite blanket, of all that I have made for her.